A consent order is a voluntary agreement between you and your partner made upon divorce or separation. These orders outline the rights you each have to any shared assets like money, investments and property. 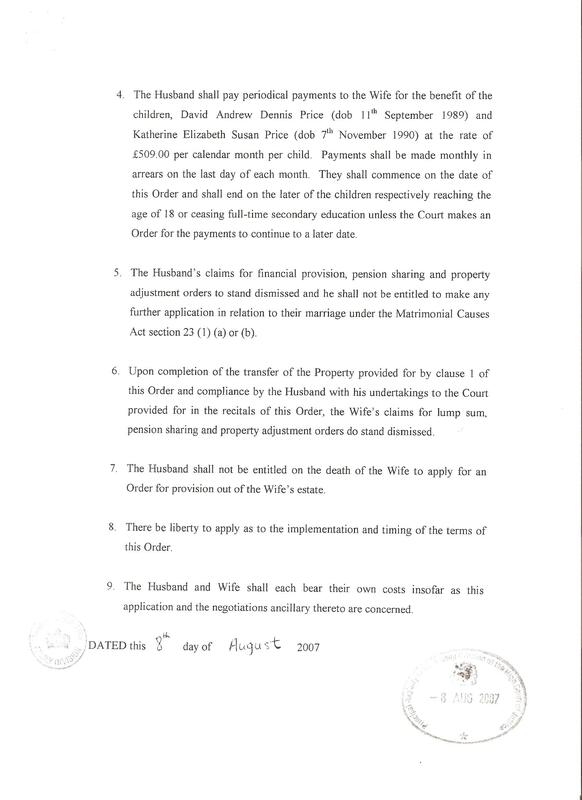 It is a legally binding document which can also help set out how future payments for things like child maintenance will be shared. Why would I get a consent order? If you don’t set up any legally binding documents to finalise your financial arrangements when you divorce or separate, then your ex-partner may be able to take you to court. If you aren’t protected by a consent order, then they may be able to claim for a larger amount of the assets you shared during the marriage and even assets you acquired after you divorced or separated. By setting up a consent order through a solicitor, you can avoid going to court. You and your partner have to get independent advice about the terms of the order and then provide your signature. Before the order gets drafted you and your ex will need to agree on how everything will be divided. If you’re able to, you can read the agreement together. If this proves to be too difficult or just isn’t feasible then you can get the help of a mediator or through a solicitor. If you can’t agree on how everything should be split, the court can decide for you. If this happens, you will not be able to get a consent order. This isn’t great for anyone involved – going to court is lengthy, frustrating and can end up costing you more than necessary. Asking a court to make the decision for you will also mean you giving away your power and control in the negotiations. What happens if my ex-partner breaches the consent order? Breaching a consent order means failing to carry out obligations like paying child maintenance. If your ex commits a consent order breach, there are actions you can take. Upon your ex-partner’s first breach of the consent order, you should send them a warning letter before reporting them to the courts. This way, you give them an opportunity to meet their responsibilities and avoid having to get the courts involved. By submitting a breach report you are asking the court to enforce the consent order. Enforcing a consent order means getting the courts involved when your ex-partner isn’t following the conditions. If you end up having to report them to the courts, you should consider getting a specialist family solicitor to help you. If circumstances have changed since the creation of the consent order, then the court may refuse to enforce the breach. For example, if your ex-wife has paid child maintenance on time for the past year but has now missed two payments because of being made redundant, then the court will recognise that there is a valid reason for her breach. If you’re not sure whether or not the court will enforce the consent order your best bet is to seek the advice of a solicitor. They will be able to explain the whole process and clarify whether you’d be likely to win the case.